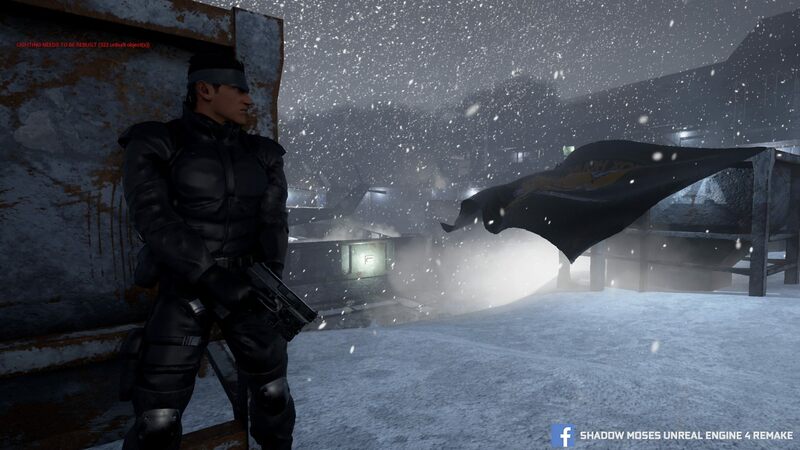 The developers set to remake a new version of the original Metal Gear Solid game with the title ‘Shadow Moses’ have now announced that the project has been cancelled due to “reasons beyond our control”. We have an important announcement to make today: We have to cancel the Shadow Moses Project for reasons beyond our control. We would like to thank everyone for the tremendous support we have received. When you consider how popular and ground-breaking last year’s Metal Gear Solid 5: The Phantom Pain was, this project kind of seemed more like a dream than reality. The reasons for the cancellation of the project are still unknown, and although this was only a fan-made game and it wouldn’t have been expected to be on the same level as MGS 5 – it still would have been extremely hard to follow. ‘Shadow Moses’ would’ve been based off was the first MGS game from 1998, which has already had a previous remake – ‘Twin Snakes’ for the Nintendo Gamecube. The developers for this version said it would follow the same story but have the improvement of current in-game graphics. So this may have given Konami enough reason to step in and halt proceedings as it would cause copyright issues, or it simply could be a case of the development team cancelling the project for their own reasons. Either way it’s definitely a shame, and as a fan of the franchise I for one would’ve loved the nostalgia of playing the original game with modern graphics.